Victoria is one of Australia’s most diverse and vibrant states. From its long and spectacular coast, to magnificent National Parks, you are going to need a bit of time to properly check out Victoria. Whether you like the city life or being out on the trails, there is something for everyone in this amazing state. Make sure the following five places are on your itinerary to get a good taste of what Victoria has to offer. 1. Melbourne – Named the 2011 Most Livable City In The World, Melbourne really is quite an amazing city. It’s cafes and restaurants are world class, it’s art scene is cutting edge and sport lovers will be in heaven with almost non stop sport including cricket, AFL, Formula One, Rugby League and tennis to name but a few. 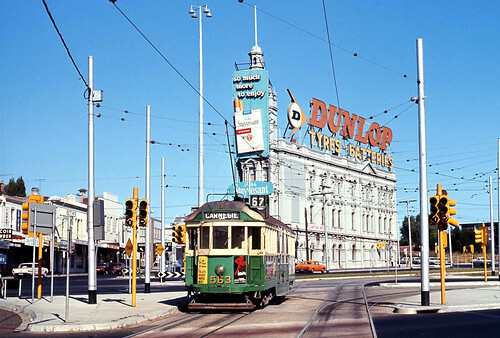 It is absolutely worthwhile to get on one of the many Melbourne tours available in order to see as much as possible. Allow as much time as you possibly can to see this city, it really does have everything! 2. Wilson’s Promontory National Park – Approximately 3 hours east of Melbourne, ‘The Prom’ is a huge National Park with dozens of options for sightseeing, hiking and wildlife viewing. Accomodation is available both inside the park, in the form of campgrounds, as well as countless options of cabins, hotels, B&B’s and camping just outside the park. Watch out for the wombats, they are the cutest animals since koala bears! While in the area check out the quaint towns of Fish Creek and Foster where you are sure to be made to feel welcome by the friendly locals. 3. The Grampians National Park – Less than 30km from Stawell in North West Victoria, ‘The Grampians’ is a unique and spectacular landscape. Known for both it’s wildlife and it’s wildflowers, you can easily spend a week or two hiking the trails and taking in the natural beauty of this area. If you are looking to see some kangaroos, you will find more here than almost any other part of the country, as well as quite a few emus and an amazing array of bird life. The Grampians is also home to some of Australia’s oldest Aboriginal Rock Art. Dated as being between 10,000 and 40,000 years old, you need to check this out, it’s like looking back into the past through a painting! 4. Ballarat – For a bit of history, Ballarat is quite a treat. Famous for it’s role in the Gold Rush of the early 1900’s, Ballarat was the source of one quarter of all the gold found in Victoria. Pay a visit to Sovereign Hill and learn about an exciting era in Australia’s history. Ballarat accommodation options include charming B&B’s, comfortable hotels and scenic campgrounds. 5. Otway National Park – Located 17km west of Apollo Bay on the Great Ocean Road, this is one of the best places in Australia to see koalas. Take the road down to the lighthouse at Cape Otway and keep an eye on the eucalyptus trees. You are sure to see the quite large, fluffy, bears most likely sleeping in the trees. Victoria is amazing! Take your time, talk to the locals and keep an open mind. There are treasures around every corner.